In his book Reality Isn’t What it Used to Be, Walter Truett Anderson relates a joke about truth. 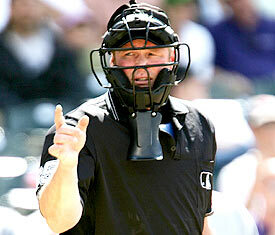 He writes “Three umpires were having a Coke after a baseball game. One says, “There’s balls and there’s strikes and I call ’em the way they are.” Another responds “There’s balls and there’s strikes and I call ’em the way I see ’em.” The third umpire says “There’s balls and there’s strikes and they ain’t nothin’ till I call ’em.” (Anderson, 2013). It is a funny joke, because it makes light of umpires and the power they have to control the outcome of a baseball game. Yet it also digs a little deeper at the something far more important… what happens when we let truth be decided for us by those we give our autonomy to. To the doctors reading this blog…. What would you think if that joke was about doctors and how they disclose error to patients? I challenge you to change the context of the joke to your own profession, and play a little game with me called Truth And Dare. Let us start with a multiple choice question. More importantly, which doctor do you think your patients want you to be? Before you answer consider these facts. Now answer the question I asked, but change it slightly… Which of those three doctors would you give your autonomy to if you were sick? I would wager it would be the one who discloses all the errors they make, who apologizes when a mistake is made, and then promises to do everything possible to prevent that error in the future. Is the doctor you would choose for yourself the doctor you are to your patients? When people are ill, they give up their autonomy to doctors because we trust you to “do no harm”. Those three words are the basis for our faith that you will always have our best interests at heart. I believe that the vast majority of doctors act in light of that good faith, so why are there so many preventable errors that risk patient lives? I think the answer is simple. 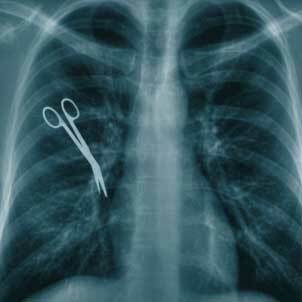 A total lack of transparency in medicine has created a deficit of truth when it comes to errors. That is why we are witnessing a ever-increasing movement demanding accountability regarding medical errors. Dr. Sidney Dekker, the author of “Just Culture: Balancing Safety and Accountability” explains why patients need to feel our doctors hold themselves accountable to us. Harvard surgeon Dr. Lucian Leape has asked audiences of thousands of physicians to “raise your hand if you know of a physician you work with who should not be practicing because he or she is too dangerous.” Every hand goes up. (Makary, 2012). Would you raise your hand if asked that questions? Would any doctors who know you be thinking of you when they raise their hand? Are you certain of your answer? So what is next? How can you become the doctor you would want to see if you were sick? How do you become the one who sets the standards that forces the change that restores the faith? It starts with truth, admitting to your patients every mistake you make that might threaten their health. Show them the extra measure of compassion that comes from your heart… go the extra mile for the ones who need you the most, the ones you have harmed by your errors. Earn the trust that gives you their respect. Studies of malpractise lawsuits have shown there is no typical plaintiff. People who sue doctors are not poor, not chronically ill, not single or married, not one race or another… those are stereotypes. Plaintiffs in malpractise lawsuits are usually angry because of an error, made by a doctor who likely tried to mislead them about the true cause of the error. Studies have also shown that telling the truth about errors reduces the chances of malpractise lawsuits, because most patients who sue are angry because they have been given the “deny and defend” response. Be truthful, and show them how you will change whatever led to that error to prevent it from recurring. You will find that patients who are told the truth are far more likely to forgive you and your likelihood of being sued for malpractice will decrease. So far I’ve talked to you about “truth”, but here is the “dare”: Commit to restoring patient faith in you. This starts by first learning to hold yourself accountable to the highest of standards, and then it extends to holding those you work with to your standards. The best part of being a truthful and caring physician is that you do not have to spend much on promoting yourself. Your integrity, honesty and compassion will become your best advertisements. Anderson, Walter Truett. 1992. Reality Isn’t What It Used to Be: Theatrical Politics, Ready-to-Wear Religion, Global Myths, Primitive Chic, and Other Wonders of the Postmodern World. 02/14/1992. Harper One. Dekker, Sidney. 2007. Just Culture: Balancing Safety and Accountability. 12/21/2007. Ashgate Publishing Company.